B’nai Torah in Boca Raton, Florida, is the location of this spacious and very functional temple and celebration space. We were delighted that the entire wedding was to take place at one location; a small Bedeken took place prior to some time outside for portraits (though the weather kept us under cover most of the afternoon with some lucky wedding rain), followed by the signing of the Ketubah with the groom, both families, and their rabbi, which was then followed by an official bedeken ceremony, consisting of the groom and his close family singing and dancing their way to the bride, who was then veiled by her soon-to-be husband. 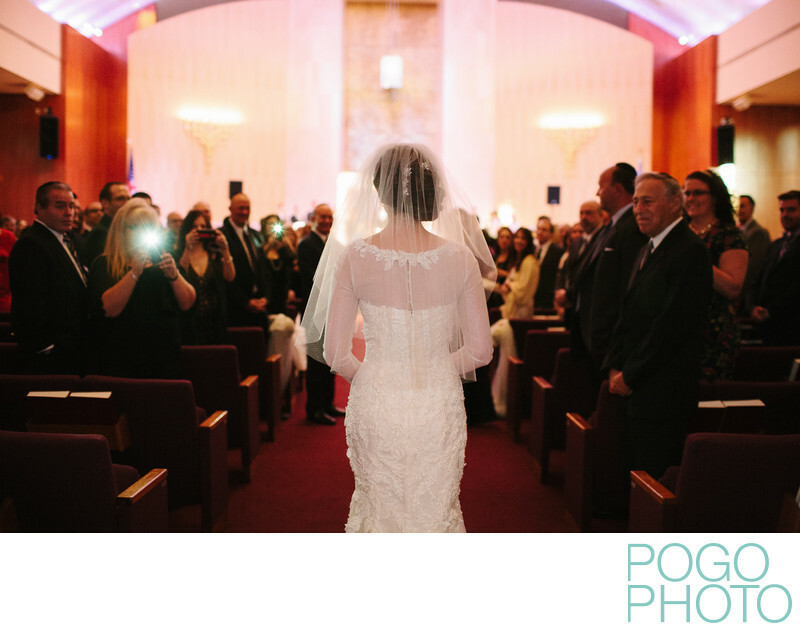 The involvement of family in every aspect of a traditional Jewish wedding is touching and meaningful; many of these traditions can be borrowed from for meaningful moments for even a secular wedding. 1/125; f/2.0; ISO 1600; 35.0 mm.